Jamilla Deville is one of the world’s best-known pole dancers, and a pioneer of the art form. Having trained in various forms of dance, as well as adagio, trapeze, corde lisse and silks, Jamilla started pole dancing in the year 2000. She claimed the original title of Miss Pole Dance Australia and went on to be voted by the global pole community as IPDFA International Instructor of the Year for the last two years running. Jamilla is also known as the face of X-Pole Australia and has been a huge fan of the brand since its inception. In 2007 Jamilla created the first two Volumes of The Art of Pole DVD Series. 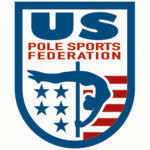 On its release The Art of Pole was proclaimed by its fans to be “the pole dancing bible”, influencing pole dance styles and teaching techniques across the globe. The next three Volumes were released to equal acclaim and most recently, Routines One & Two were produced. The Art of Pole Collection is the top-selling pole dance instructional DVD series available in the world today. Renowned for her strength, athleticism and grace as a performer, Jamilla’s understanding and mastery of such crucial elements of pole dancing as safety, body alignment, aerial fitness, and balance have set her apart as a leader in her field, making her offerings as an instructor and performer invaluable to dancers the world over. Since opening her own studio in Sydney, Australia, Jamilla has toured her classes across the world, bringing The Art of Pole to dancers in Singapore, Thailand, New Zealand the US, Mexico and Europe. Jamilla loves touring and ensures that every year brings her to more and more dancers internationally. Inspired by reaching new heights and helping other dancers to do the same, Jamilla’s love is for instructing, performing, as well as traveling and connecting with dancers everywhere. She is thrilled to have been invited to appear at Pole Expo again and thanks her family, friends and pole colleagues for supporting her in her career to date.